The December 1966 edition of Studio International magazine contains an article on Mondrian's time in London, largely comprising reminiscences by those listed below. I have reproduced the article here. 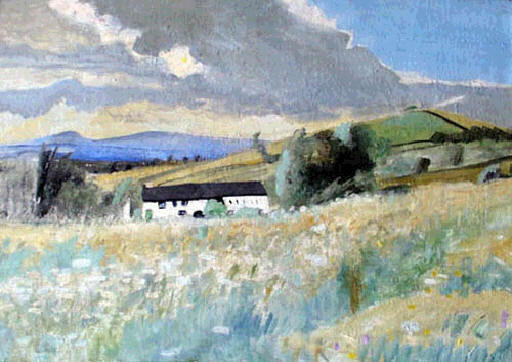 Painter in oil, watercolour and gouache, especially of flowers and landscapes. Born in Oxford, she attended the Byam Shaw School of Art, then studied art in Paris, Lugano, India and the Hebrides. Participated in extensive mixed exhibitions throughout her life, initially as Winifred Roberts, her maiden name. She married the painter Ben Nicholson in 1920 and had her first one-man show at the Mayor Gallery as Winifred Nicholson in 1925. Was a member of the 7 & 5 Society 1925-35 and the NEAC 1937-43. Was the mother of the painter Kate Nicholson. Contributed to Circle, International Survey of Constructive Art, in 1937, designed a “constructive” fabric for Alastair Morton’s Edinburgh Weavers the same year, as Winifred Dacre, and under the same name showed four abstract works in an Exhibition of Constructive Art at the London Gallery. Until late in life she travelled widely, showing pictures in Morocco, Greece, Cornwall and Cumbria. Her later work was concerned with prismatic colour experiments. Exhibited internationally, and her pictures are held by many public galleries including the Tate Gallery, Bristol, Bradford, Adelaide and Melbourne. lived at Brampton, Cumbria. A major exhibition toured from the Tate in 1987-8. British painter and maker of painted reliefs, one of the most distinguished pioneers of abstract art in Britain. From his father, Sir William Nicholson, he inherited a feeling for simple and fastidious still lifes, which with landscapes made up the bulk of his early work. They show him responding to the innovations of Cubism, using the standard Cubist repertoire of objects such as jugs and glasses and arranging them as flat shapes on the picture plane. 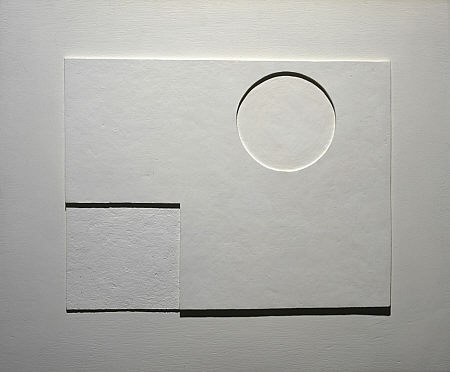 In 1933, during one of the several long stays in Paris he made at this time, Nicholson made the first of a series of white reliefs using only right angles and circles (White Relief, Tate, London, 1935). 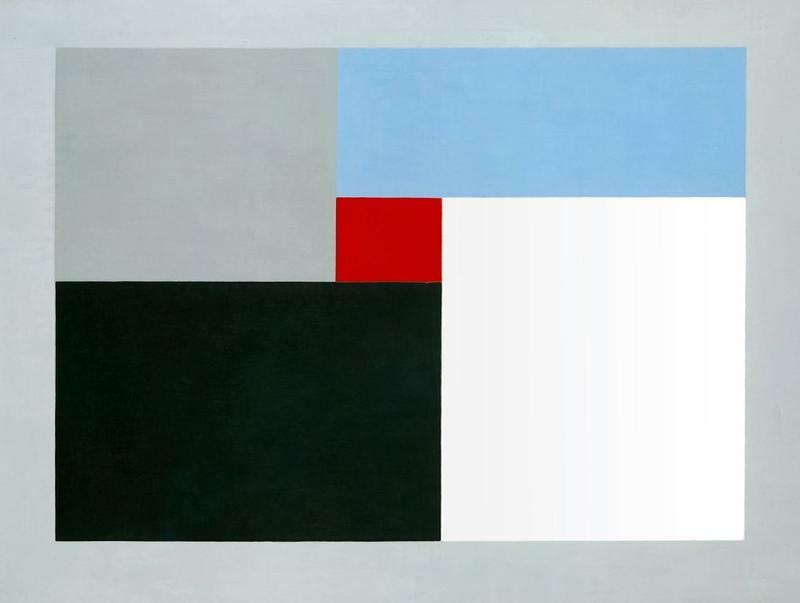 They show the influence of Mondrian (whom Nicholson met in Paris in 1934) and were the most uncompromising examples of abstract art that had been made by a British artist up to that date. By this time he was recognized as being at the forefront of the modern movement in England; he was a member of Unit One and one of the editors of Circle. In 1932 he married Barbara Hepworth (they were divorced in 1951) and in 1939 moved with her to St Ives, where with John Piper and others he became the centre of a local art movement. After the war his international reputation grew and he won many prestigious prizes. In 1968 he was awarded the OM. His late work moved freely between abstraction and figuration. From 1958 he lived in Switzerland. 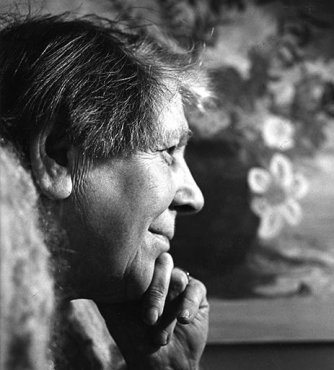 Nicholson’s first wife, Winifred Nicholson (1893-1981), was a painter of distinction. She is best known for her flower paintings, but she also did other subjects and abstracts, all her work showing her joy in colour and light. 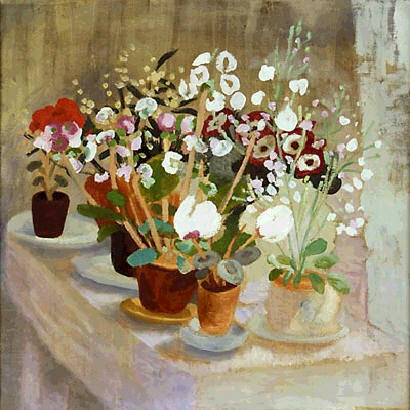 Ben and Winifred Nicholson were married from 1920 to 1931, but even after their separation they took a keen interest in each other’s work. English sculptor. The daughter of a Yorkshire county surveyor, she was educated at Leeds College of Art (1920-21) and then at the Royal Academy of Art, London (1921-4), after which she won a travelling scholarship to Italy, married the sculptor John Skeaping and shared a joint exhibition with him at the Beaux Arts Gallery, London, in 1928. Both were members of the radical artists' group, the Seven and Five Society. In 1930 she aroused attention by her exhibition at Tooth's Gallery, which included works such as a stone Mother and Child. Her early stylized figures gave way to more abstract forms. 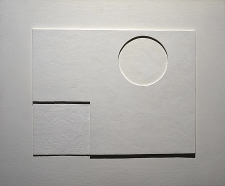 After 1931 she worked with the painter Ben Nicholson, whom she married after her divorce in 1933. They exhibited together at the Lefevre Gallery, and worked with abstract groups such as Unit One (1933-4) and Abstraction-Creation (1933-5). 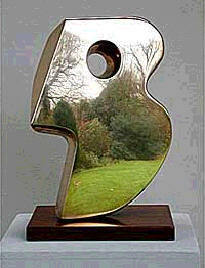 In 1939, they moved to St Ives, Cornwall, and here Hepworth developed her characteristic style, resembling that of her friend Henry Moore but more demonstrative and sensual. During the 1950s she suffered personal unhappiness - her marriage was dissolved (1951) and her eldest son Paul was killed in Malaya (1953). 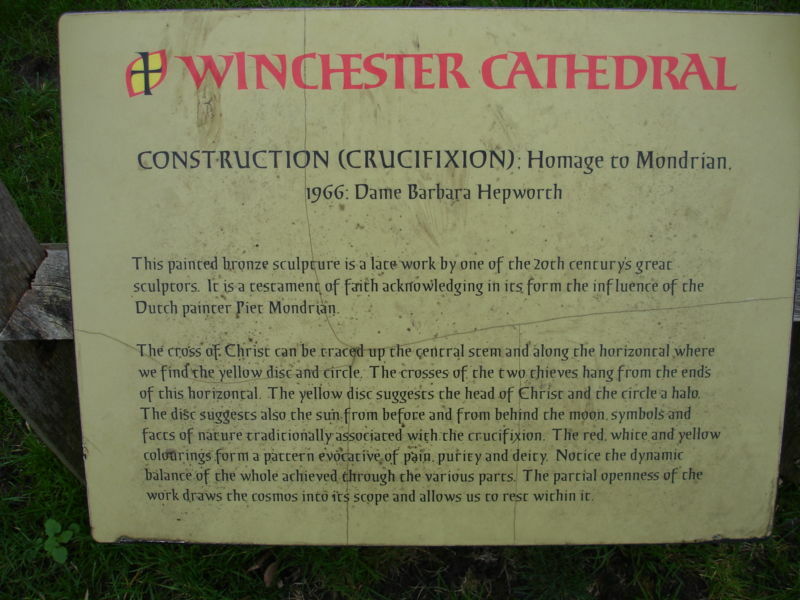 But she also achieved international eminence with her Figures in a Landscape and was made CBE in 1958 and DBE in 1965. Later commissions included Single Form for the UN Building, New York (1964), and the Dag Hammerskjöld Memorial. One of her last monumental works was the nine-piece group Family of Man (1972). She died in a fire at her studio in St Ives. 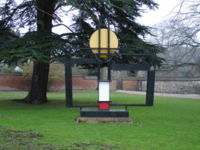 The image right is a homage to Mondrian by Barbara Hepworth located at Winchester Cathedral. 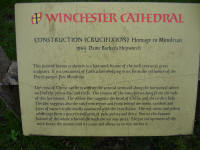 I found this on Google, but it is actually posted in Wikipedia and was provided by Suzanne Knights. The piece is called CONSTRUCTION (CRUCIFIXION): Homage to Mondrian. 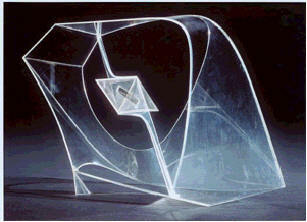 Russian Naum Gabo was a pioneering Constructivist sculptor whose use of glass, plastic and metal signaled a rejection of traditional concepts of sculpture in favour. Deeply involved with the European avant-garde movement he came to Hampstead in 1936 as a refugee before moving to the United States. The prolific writer, lecturer and art critic Herbert Read moved into the Mall Studios, Hampstead in 1934, where he became close friends with his artist neighbours. Read's recognition of the importance of the Hampstead modernist artists placed their achievements in a world context and helped them gain acceptance in the face of a hostile English public.